OK...because um...it's not real. 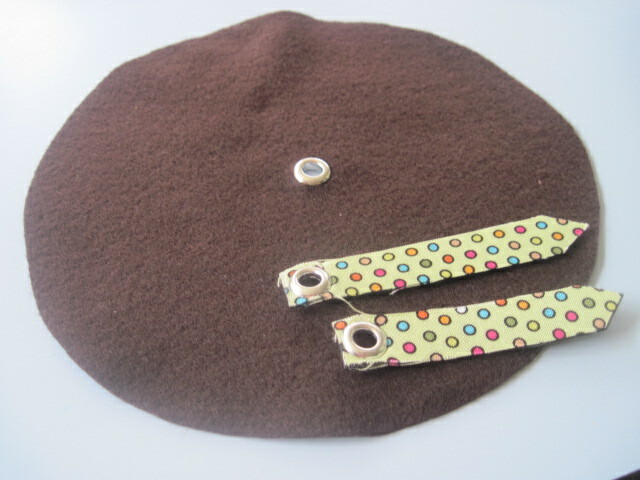 In fact, it is made of felt and scrap fabric. It's a practice clock for my little pre-schooler. 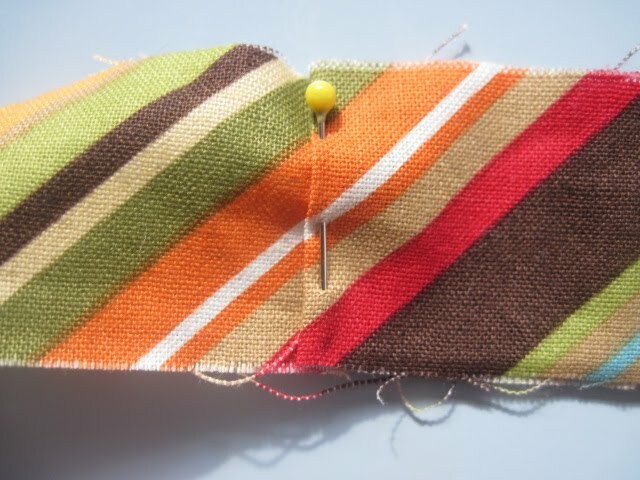 And I have fallen in love with this cute little project and I wanted to share it with you. Before I get into this little project of mine, let me just tell you guys why I have been kinda MIA. We have so much stuff going on here at my TWO SHADES OF PINK household. We are remodeling the master bathroom and this process requires way too much decision making. It's akin to removing teeth sans the Novocaine. I hate CHOICES! I can't even decide what I want at a restaurant and usually succumb to asking the server which meal I should choose. This usually occurs on a server's second night working there and they look at me panic stricken that they may suggest a dish that I will ultimately send back. See? Decision making is stressful for EVERYONE! Then school is starting soon for Cati. This will require a whole other post. It is only pre-K but she is going to school that is part homeschooling as well so I will be teaching my child. I think I just heard that ominous du du duuuummmm sound somewhere above me. This is a terrifying prospect for me since I possess a degree in Human Resources and am only equipped with the education to hire and fire people and reiterate corporate policies. That I did like 10 years ago. I pray my child comes out of this with more than a knowledge of business policy guidelines. So to sum up...I have been busy. I promise I will be more consistent when life begins to die down but we shall see. Now back to the clock. It all started when I found this little practice clock in the $1 section at Target. Cute but I thought this could be soooooo much cuter! And because I have a mad obsession with all things fabric, felt, or yarn related I decided to combine these craft loves into a little project. But prepare yourself. I had no idea what I was going to do which is my usual "winging it" approach to my crafts. But I get an idea in my head and I HAVE to see it though. So I took pics for a little tutorial for you but not as detailed as it should be. Wait...maybe you just yelled yippee that I finally found the ability to be concise. Yet if I did, you would not have had to read 103 paragraphs so far when I have yet to tell you how I made this. 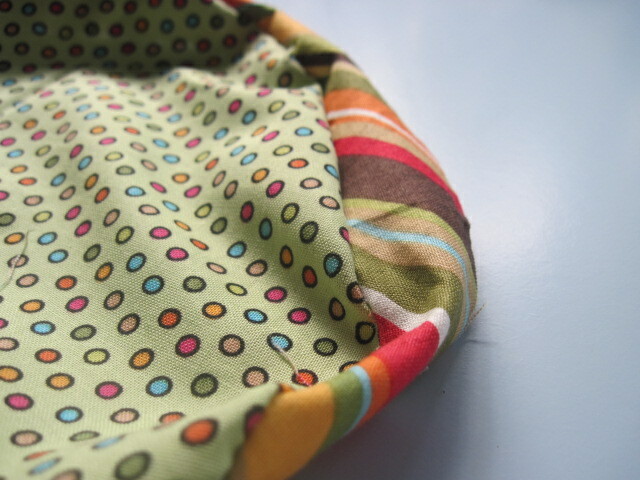 Here is the fabric I used in all of its un-ironed glory. 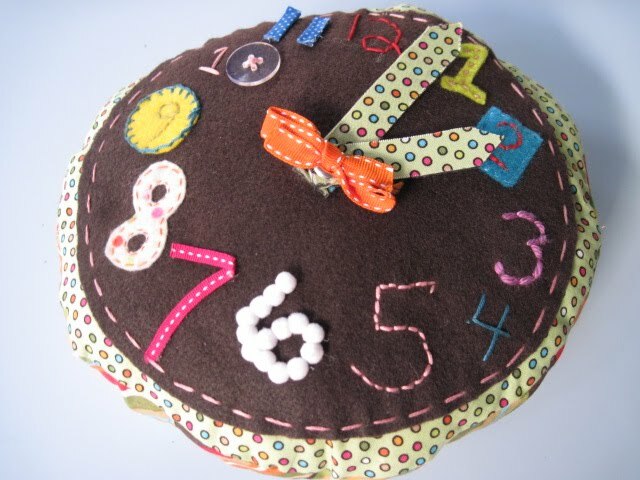 I picked two fabrics for the front and back of the clock, a felt piece for the face of the clock and a coordinating fabric from a jelly roll and to put between the front and back to make it more dimensional. I traced around a large bowl for the two large circles and then used a smaller plate for the face. The ribbon is to tie the hands of the clock together. And before I go on...I used all fabric and stuff from my stash. I am a big believer to use what you have. 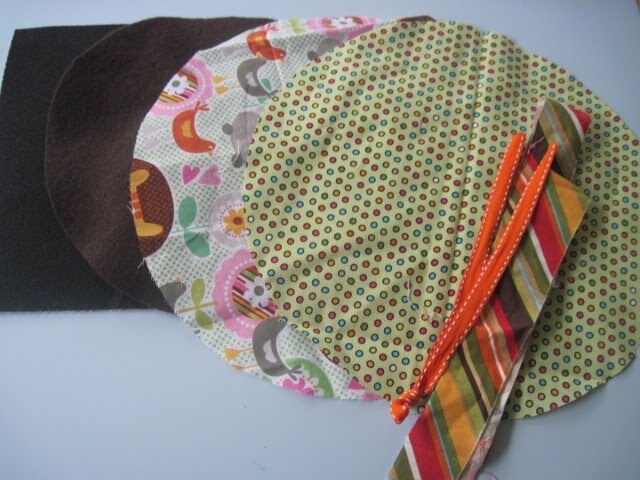 I took the jelly roll and cut it in half lengthwise to give me the length I needed to make it around the circle and sewed those two pieces together lining it up with the fabric. I made the clock hands using adhesive backed, stiffened felt. I just placed the fabric I wanted and free cut the hands to my liking. USE FRAY CHECK! Totally forgot until later. I wanted the hands to work smoothly so I used eyelets with an eyelet kit. 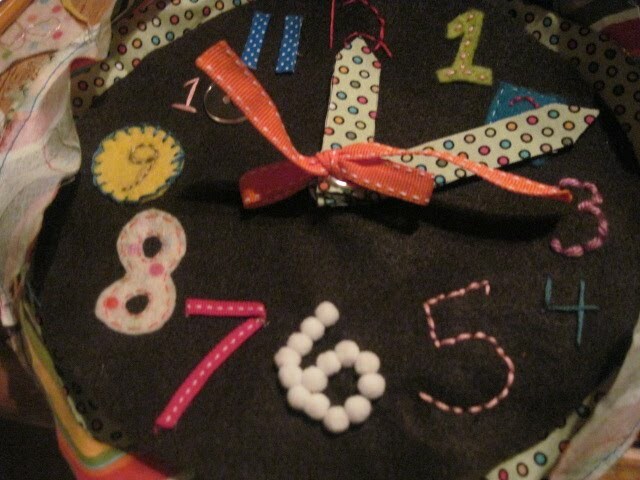 I also put an eyelet through the face of the clock. I did all of this before sewing the face to the front fabric. 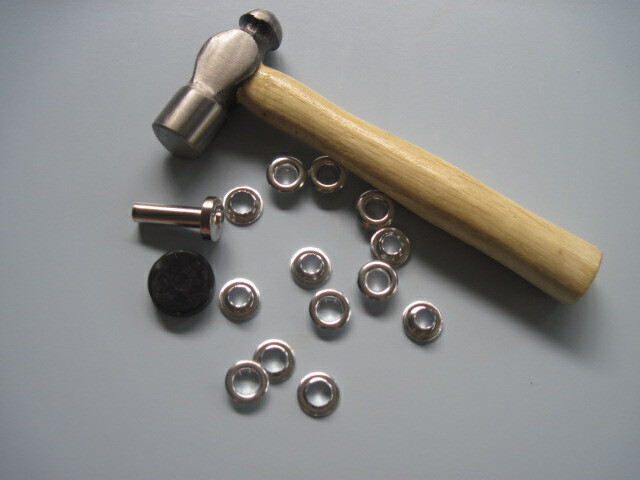 Follow directions on your package for the eyelets. Then I made the face of the clock where I used my creativity. I made each number unique using what I had in my stash. Yarn, embroidery floss, ribbon, patterned felt, buttons, and little pom poms. Get as creative as you want. I really wanted to spell out numbers like two or ten but I figured that was not best for my preschooler. Way too confusing but totally cute idea to use later. I threaded the ribbon through the face and two hands from the back to the front. I tied a bow in the center ensuring the hands would move smoothly. I sewed the face to the front of the clock. I then sewed the other circle with right sides facing and then turned it inside out, stuffed it, and sewed it the rest of the way closed. Here is the edge of the clock. Now let's talk about my over exuberance stuffing this thing with polyfill. I did not want it to look all chunky like this but apparently I do not know when to say when. And I kid you not, I sat on it to flatten it. It worked. I mean, you have to get creative even with your methodology, right? Now my Cati has a fun clock to learn how to tell time with. Maybe you could even make it into a pillow? Or actually make it into a working clock? I so would use it and hang it in my kitchen. It would be kinda funky and fun. 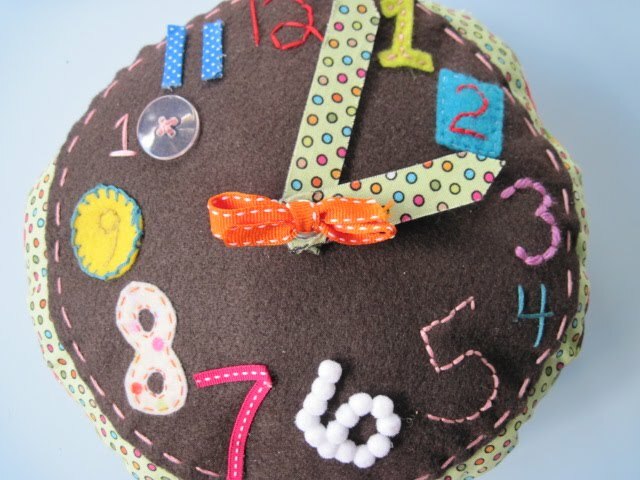 Hope you liked my felty and fab clock. 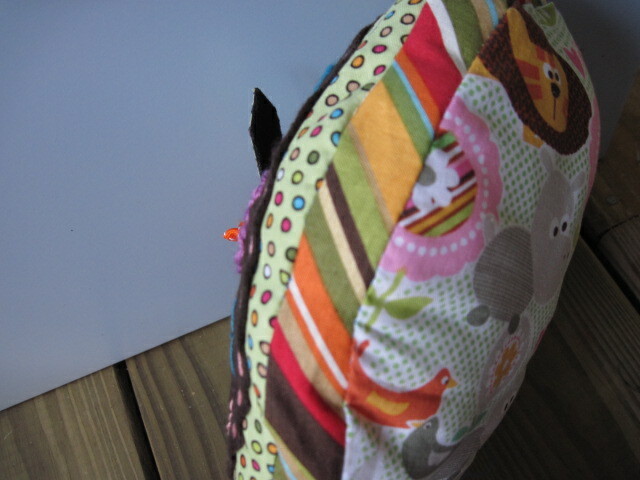 I will be linking up to some crafty parties this week to put a little bloggy pizazz into my week. As usual, thank you for coming here to visit my little blog. You guys make me so happy! Jessica, this is sooo cute! I love this! I think I may try it out. I have two little girls myself. :) Great job! You and your HR degree are incredible qualified to teach little Cati. You know her better than anyone else. I'm sure you will do a fabulous job! I can't wait to really start teaching my child more intentionally! Oh my goodness!!! This is sooooo adorable!!!! Great job!! I loe this! 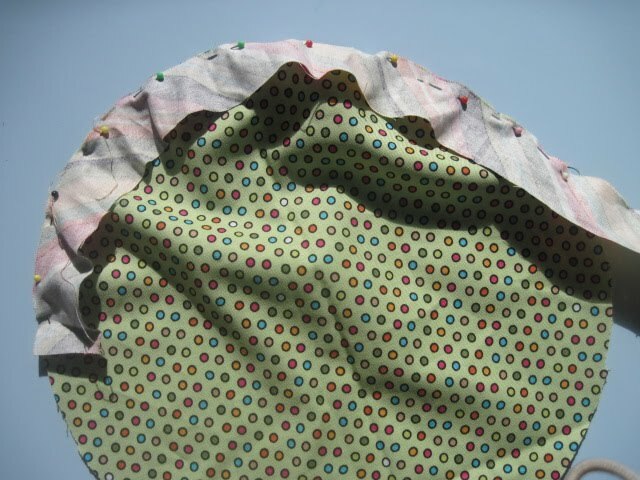 So much cuter than the wooden one.... of course, I love fabrics too! this is SOOO cute :) come on over and link this up to MMM so I can feature you next week!!! Your clock is absolutely adorable! I just love it. WOW! I am picking my jaw up from the floor right now... You rocked my world with this creative craft. Way to go Jessica! Keep up the good work. Okay, that is the absolute cutest thing ever!!!!!! I am soooooooooooooooooo going to have to make one for my daughter's room when we move! I love it! I love this but I would never do it. But darn it's cute. Name this song...."when will I see you again...."
Ok, whatever, I have no car for who knows how long and it's the last week before school and I'm so ready to um, well, nothing really. Just being dramatic. Can you call me tomorrow because I seriously have no brain cells and I won't remember to call you because my three kids will be running through the house like maniacs and I will be locked up in my room eating bon bons. So, please call me!! I really like this idea and am even going to try and make one. I know someone who is terrified by ticking clocks, especially in the night, so also have the perfect recipient too. That clock is waaay too cute! You are already a great homeschooler, don't doubt yourself girl! WOW! Awesome. How much are you going to charge for them? Because unlike so many of your creative friends who said things like, "I am definitely going to try this, too!"... you know me better than that. You lost me at Jelly Roll because all I could think about was bakery goods after that and then I was hungry and distracted the rest of the post. But I really do love it! So cute! I bought the same clock from Target, then saw your clock on "One Pretty Thing" and thought the same thing -- it could be so much cuter! Thanks for the inspiration. CUTE!!!!! What a great learning tool too!!! ...I'm visiting from Sassy Sites! Come by and say HI! Your blog is adorable! I'm a new follower! LOL I caught the un-ironed... And I probably wouldn't of either in this case. Also, I was so happy and excited for you that you used your machine! Until I read that it died on you. Sad, sad day. (Too bad it's not closer to Christmas, you could do what I did!) I LOVE the five and the six especially, but the whole thing is just too stinkin cute! I love this idea, it is so cute and fun. Oh and I too have a terrible time making decisions too. Ugghhh! I had to laugh when I saw the Target clock. I almost bought it then thought...no I can do better...now with your post I CAN!!! Thank you for posting this. Visiting from One Pretty Thing! Wow! JUST TOO CUTE! I wish I had the time and patience to try this...maybe I will someday! I just found your blog and I really like it! You make it look so easy. I am in awe of you! 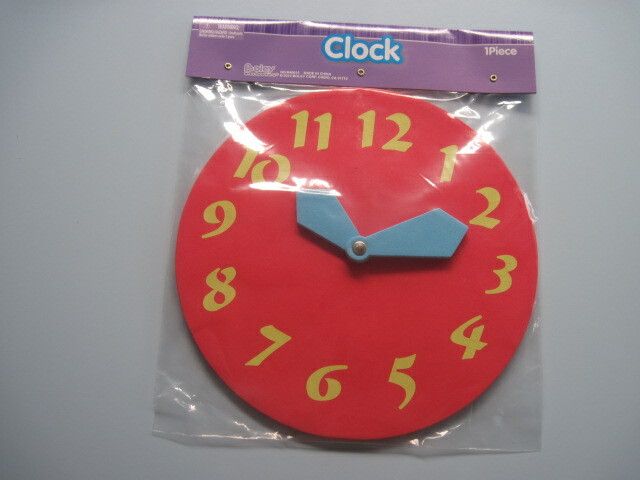 I just had to psot again when I saw the clock featured on the ChildMade blog!